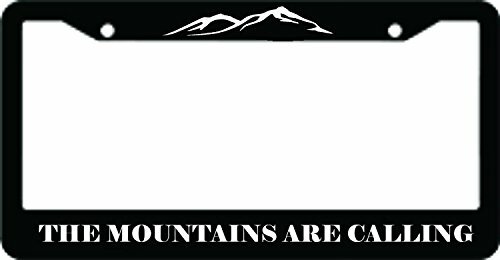 Sturdy license plate holders in black ABS plastic with 7 year outdoor grade vinyl graphics. Pre-drilled, Screws available from any car parts store or local hardware store. Lightweight, durable and will not rust. Width of the opening is 12 inches Height in the edges is 4.5"" Height in the narrower section in the center is 4 inches. Fully customizable just shoot us an email with your design ideas.